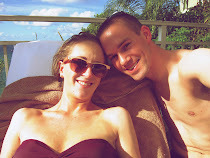 Erin & Andrew Ever After: Nearly New York Bound: The Bright Lights of Broadway! Nearly New York Bound: The Bright Lights of Broadway! Erin's approaching week one of three in New York City, as she slaves over spreadsheets and documents, typically working 12 hour days. There is light at the end of the tunnel though! Both of us have been feverishly counting the days until I can fly out to the Big Apple and we can play tourist. One of the things we really want to do, of course, is see a show on Broadway. 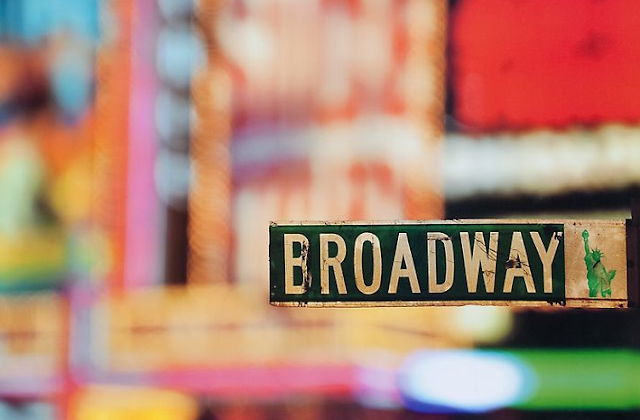 We've seen plenty of musicals in our time, but never on Broadway. So, that's a must. That's where this blog post becomes relevant. What should we see? We know there are plenty of recommendations out there in the blogosphere — so let us know! To coincide with my obsession of watching old American Idol (really, any talent or music show) performances on YouTube, I've come up with our top three Broadway musical performances seen on TV and not in the theatre. • This man is simply amazing. You can see the fear in his eyes, but he sings this beautiful song from Les Miserable. What is up with the most random and shy people being amazing on Britain's Got Talent? It seems the American version never produces anything worthwhile. • One Saturday, (again, I seriously love watching old American Idol performances), I showed Erin my top five favorite Idol performances of all time. David Cook's performance of The Music of the Night from The Phantom of the Opera made that list. Oh, Broadway shows are fantastic! I've seen 3 in NY. I'm not sure your taste, but for years my two favorites have always been Wicked and RENT. I've heard good things about Chicago and Avenue Q too. I really want to see Avenue Q! It's playing off Broadway in New York... but that still counts, right? I saw Anything Goes which has some amazing dance numbers and the performers are wonderful! I highly recommend it! Have a great time! Too bad I'm not still living in the area!